Supreme Court by an interim order today has confirmed that the seventh edition of the Indian Premier League will go on as per schedule and directed BCCI to appoint Sunil Gavaskar as an interim president till the IPL. Bench comprising of Justices A.K. Patnaik and Fakkir Mohamed Ibrahim Kalifulla while posting the matter to 16th April passed interim order with following observations. "Considering the fact that Mr. Sunil Gavaskar was a cricket player of great repute and eminence, a captain of the Indian Cricket team for a long period and has a wide experience in cricket related activities and of men and matters, we appoint him, as an interim measure, to function as and exercise the powers of the President of the BCCI in relation to the IPL, 2014 till we hear and deliver the judgment in these matters. We make it clear that with regard to all other matters of BCCI, the senior most Vice-President of the BCCI, Mr. Shiv Lal Yadav, will discharge the functions of the President of the BCCI". 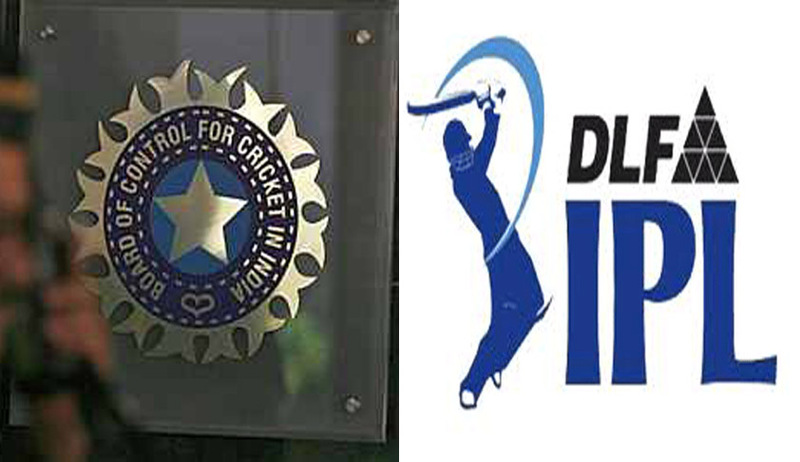 "We also direct that till we deliver the judgment, none of the employees of India Cement Limited or its associate companies (except cricket players or commentators) will perform any of the duties assigned to them by the BCCI and the Interim President, Mr. Sunil Gavaskar, will have power to engage the services of such persons on whom he has confidence for work in connection with the IPL 2014". "We also direct that it is for Mr. Gavaskar to decide as to whether Mr. Sundar Raman, Chief IPL Operator would continue in the IPL, 2014 or some other arrangement has to be made in his place. In case of any difficulty, Mr. Gavaskar may apply to this Court for appropriate orders". "Mr. Gavaskar will not work as a Commentator during this period as an Interim President of the BCCI in relation to IPL matters and he will be adequately compensated for his loss of income for this period by the BCCI. The compensation amount will be determined after the Court resumes hearing on 16th April, 2014". "We make it clear that we have not passed any order preventing any player or any team from participating in the IPL Tournament 2014". On Thursday Supreme Court has proposed that Chennai Super Kings and Rajasthan Royals should not be part of IPL 7. It further added that till it gives final verdict in the matter Sunil Gavaskar should be interim President of BCCI in place of Mr. Srinivasan. It has also been suggested by the court that any person associated with India Cements will not be involved with BCCI and asked the BCCI to reply to these proposals on Friday. Supreme Court made three proposed interim orders yesterday, which include removal of Srinivasan from the post of BCCI President, Sunil Gavaskar will take over while the investigation is still on, RR and CSK will not take part in IPL 7 and All India Cements employees to be removed from whatever position they are in the BCCI, staff, auditors, Chief Financial Officer and even the computer operators. Harish Salve, counsel of the petitioner, spoke about the various conflicts of interests of BCCI president N Srinivasan and said India skipper Mahendra Singh Dhoni was guilty of corrupt conduct, as he gave false statement to the Commission. Salve also said that Dhoni is an employee of India Cements and that leads to a conflict of interest. Salve who had argued for more than an hour drew the Court’s attention towards the conflicts of interest prevalent in the BCCI at large. Salve basically pointed to Dhoni deposition before the Mudgal Commission in which he said that Gurunath Meiyappan was not the team principal/owner but just a supporter. Srinivasan’s lawyer submitted that he should not carry on the functions of President BCCI.